The airspace over the Riviera practically crackled with life-affirming Tildanian vibes last evening. 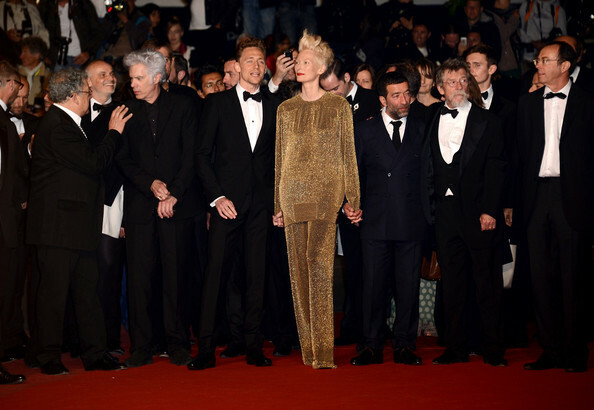 In a suit specifically designed by Haider Ackermann to keep her fabulousness cool during her spacecrafts re-entry, the Swinton graced the red carpet and of course, lives were changed. Her minions wore their standard Tom Ford flight suits. I wish this picture did the fabric justice- altho, it may just be an aura of intergalactic lux that she is projecting, but I think it’s lovely. Her eyes are so bright- she must have fed recently. photo credits: google images, celbitchy. All images remain the property of their original owners. All hail The Swinton!! Thank you for the notice of another great sighting. It is my humble duty. Cool outfit, she can sleep in in on the plane back to Scotland and I bet it does not even wrinkle! Does that hair get any higher? OH MY! Sh- its hiding the transmitter! Swoon…she does us all proud. She does look lovely & striking… bit is that just a sparkly Kwiksew tracksuit? Wha- oh no you didnt! You know she can hear your thoughts!!!! She is v.cool to wear it, so simple but she still stops traffic. Oh and I looooove her hair. She has the best hair ever. “Her eyes are so bright- she must have fed recently”. With all due respect to The Swinton, (and I am one who does bow to her fabulosity) this comment nearly had me falling off my chair with laffter! Its always in the eyes! With all due respect to her fashion sense, that’s a woman who could scare small children…ok, and me! Love her sleek outfit, but frankly, she creeps me out badly. (There, I’ve said it and will promptly be banned from this site! Sorry!) I feel strongly that she could drill right inside my head with those beady little eyes, and I’m sure that hair is hiding SOMETHING…! Enjoy, Tilda fans…! I’m going to pull on my invisible cape and hide out for a bit…! She is so fabulous!! I think she looks amazing in everything becuase she owns it! I always love (and admire!!) people who are so boldly themselves! Btw- She and Tom Hiddleston look like long lost twins who’ve been reunited! He is Tildazzled- I can tell! Oh, I love her big hair! I still have yet to get my hair cut. Looked up KnitNBee’s haircut online, but now problem is, my hairdresser has spawned. So will be out for several months! Hair cannot wait that long. It’s starting to make squeaking and groaning sounds….needs a tune-up bad! Heehee- mine must have regular threshings or it gets quite large! Darn those those fertile hairdressers! I fell in love with SWINTON the moment I saw her in some artsy photo shoot as the White Queen (hadn’t heard of her before that.) I bow to my alien overlady! May she be ever fabulous! p.s. I love the gofugyourself method of referring to her in ALL CAPS. hot-damn that woman is fabulous. Love your commentary 😛 ! She can get away with wearing sweats in Cannes. Look how comfy she is! That hair is amazing, just like her style. But in a good way? Or a get under your desk way? I’m thinking it’s her ‘Olympic Torch’ look. Ingenious though to be so stylishly casual and I bet she’s the most comfortable one there. A comfy, casual planetary siege outfit. And you will know the answers! Hot damn, that woman is one of a kind! Love this gold on gold look! Wow, I want (except it would look like a velour tracksuit on the pillsbury dough boy on me). 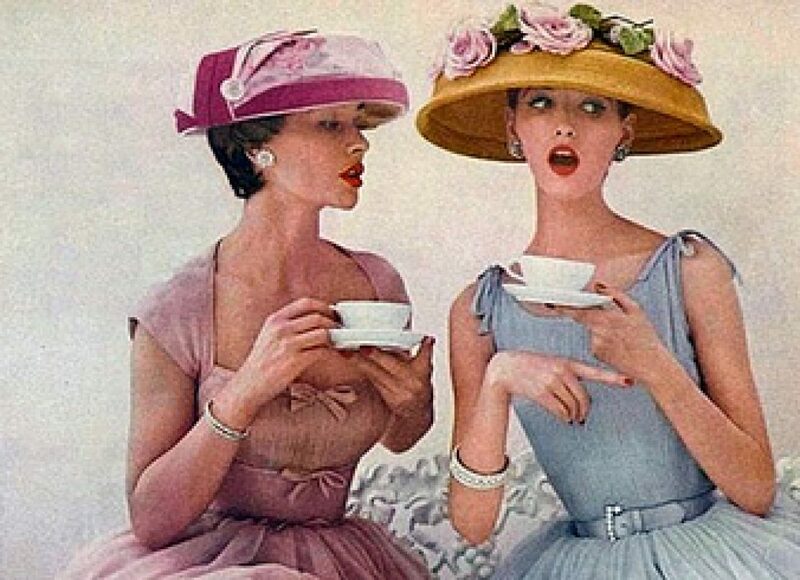 Love the detailing….look at those inverted v’s on the wrists. Wow. Which I could see the sparkle in real life. And that hair. Why won’t my hair do that? I must content myself with aspiring towards a Pink knowing I might only get to the lowly roots of a SWINTON. PS. 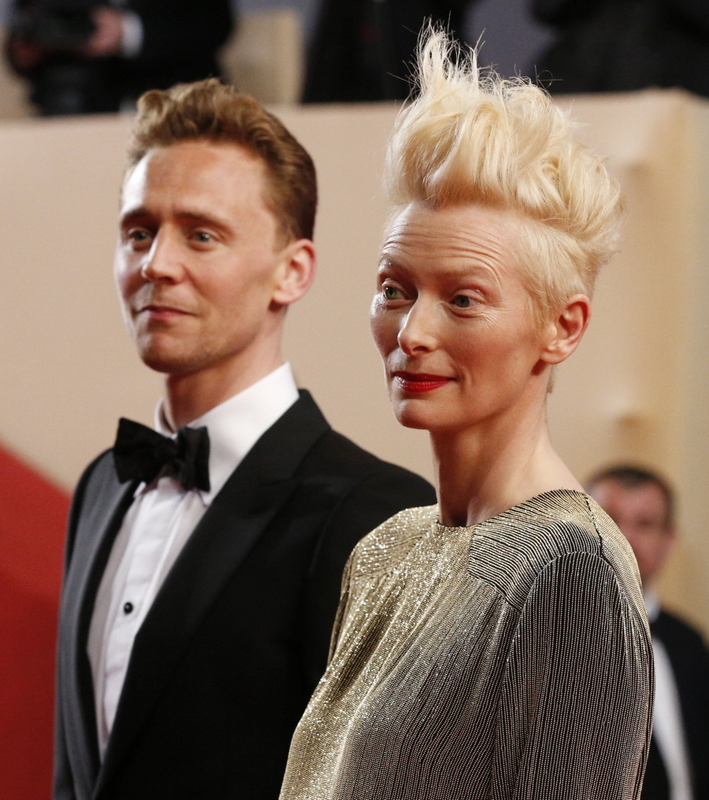 Only SWINTON could have John Hurt and Tom Hiddleston as minions. Seriously- she has such magnetism- Id look like a fancy baked potato!! I feel SWINT in this outfit- lets hit the town!